If you have always been curious and interested in learning more about launching your own startup, you’ll want to attend Singapore Women Startup Weekend from November 23-25 held at the Hub, Singapore. 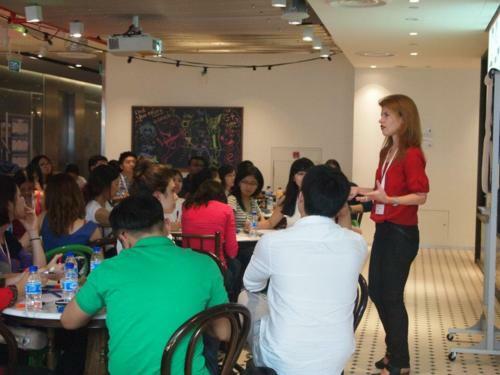 Singapore Women Startup Weekend aims to provide the opportunity for all aspiring women entrepreneurs in the local community to get inspired by an idea and explore starting their own venture. You will also have the chance to network with industry movers and shakers in the community, and connect to other entrepreneurially minded individuals, while becoming more engaged within our local entrepreneurial ecosystem. It will inspire and connect aspiring women entrepreneurs with local tech and startup thought leaders to a full weekend of activities, as well as time for networking and mentoring. To this end, Singapore Women Startup Weekend will feature an excellent panel line-up of mentors and judges from various industries, and the action begins on Friday with open mic pitches, with attendees pitching their best ideas and inspiring others to join their team. Over the next two days, teams will get to validate their ideas, and eventually set out to build a minimal viable product. Towards the last stretch of the event, teams will get to demo their prototypes and receive valuable feedback from the panel on Sunday evening. 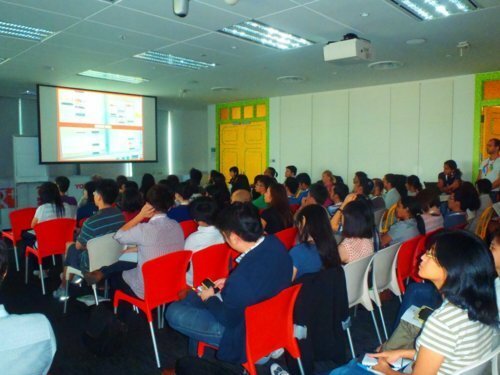 Singapore Women Startup Weekend springs from Startup Weekend, which are 54-hour events where tech, creative and business people of all kind come together to share ideas and launch startups. The event sets out to strengthen the entrepreneurial ecosystems that are responsible for job creation and economic growth. Ladies are invited to come and participate in this exciting momentum. The panel, which was made up of four distinguished people from the tech industry, discussed several topics – ranging from financing to marketing and reaching out to funders, to surviving without funding, and general changes to the product, and how the local system is different from the one in Silicon Valley. The discussion was moderated by Pierre Hennes, and delivered great value to the audience who are a good mix of aspiring women entrepreneurs in the scene, or people who wanted to just explore what the opportunities are, as well as the more established women in the local startup-scene. The four groups that pitched in thoughtful succession were the main highlight of the event. The first startup to pitch was Flipperworkz, a first-of-its-kind educational media marketplace created to encourage proactive and collaborative learning, with their business proposition mainly as an educational platform and which needed to get some form of scale. The second startup involved giving away freebies to moms. 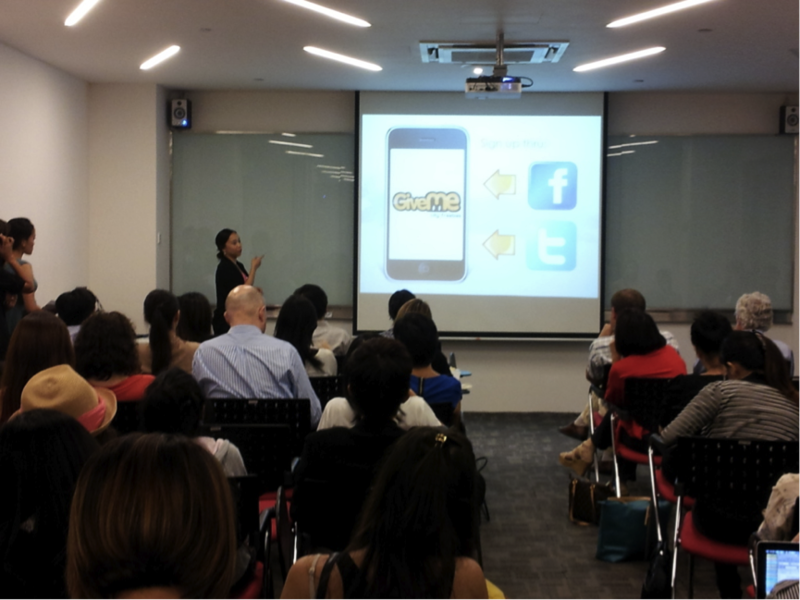 An iPhone application called GiveMeCity Freebies was developed and involved lending an ear to the cause, establishing time-and-money crunched mothers being in need of extra loving in the form of merchant perks, and to be able to utilize it as an advertising platform to this freebie-loving target market. 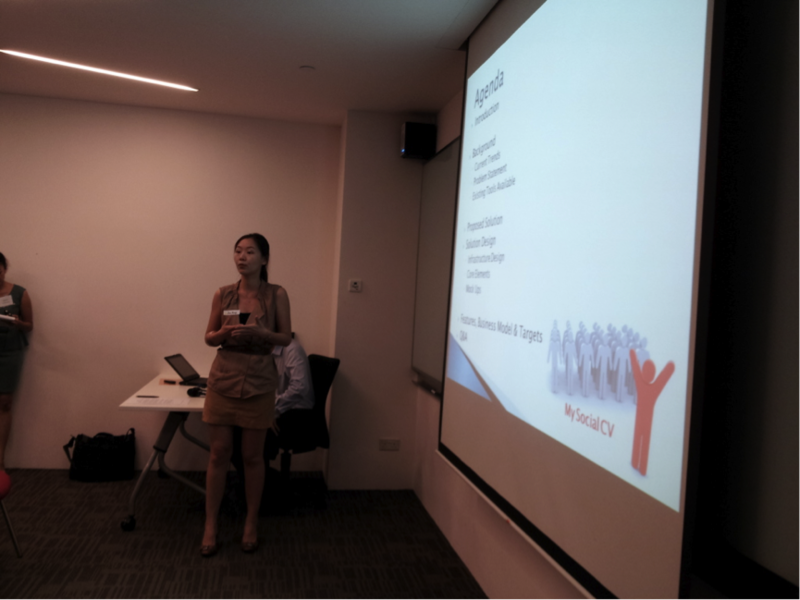 The third startup called Social CV, involved a proposition that created a better way to centralise one’s social information into a platform that gets rated into a system similar to Klout, which measures everyone’s aggregate influence from the various networking sites, including the ones from Asia for eg, RenRen, QQ, etc. With a 43% retention rate, the 20,000 downloads are attributed to their secret sauce, which was the scratch card that users get to uncover the prize underneath, such as the different perks and discounts by the different merchants involved on those social platforms. 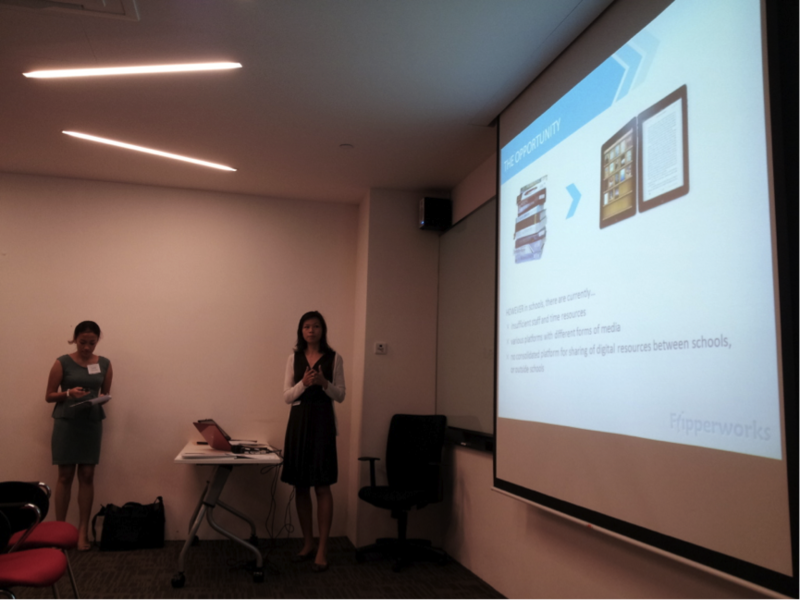 The fourth startup called LoveByte is a mobile app platform that is used by couples to help them get closer together. It revolves around the service of coupledom, and expands and leads into the social cementing of flourished relationships by providing a private space for couples to communicate and share things. At the end of the presentation, Ruvento Ventures (MDA iJam Incubator), together with Exploit Technologies (commercialization arm of A*STAR), presented some technologies available for commercialization. One of which is Fashion Latte, which used advanced technology such as vision algorithms, audience measurement, locomotion technology, voice-recognition, and mobile prowess to index fashion from leading stores across the web. It was great to witness a terrific turnout, despite the rainy weather. Thanks to everybody for taking part in this fabulous experience! To be in the midst of all the energetic pitching, as well as hearing feedback from the panel of mentors will serve to inspire the startups going forward. In our avid passion for cultivating ideas around themes involving technology, Girls in Tech recently collaborated with Google and ThoughtWorks to organize a fun-filled and enriching day of keynote discussions and integrated workshops focused on fresh design and development concepts. This event serves to provide a platform for the learning of design and technology, as well as opportunities surrounding exploration, engagement and execution. 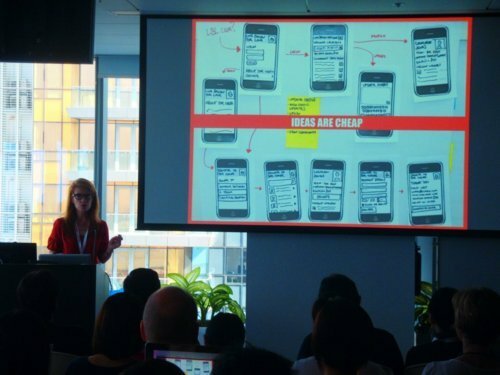 Our first keynote speaker Kate Linton, Experience Design Principal at ThoughtWorks, presented an overview of agile experience design through case studies and personal stories of her journey from traditional design practices to agile experience Design. Kate emphasized that the role of the designer is to evolve into becoming a part of a collaborative design process to deliver new and innovative experiences. She stressed that you should always test your hypothesis to validate assumptions and not assume that you know what customers want. Through collaboration and testing with customers, the concept of open innovation will be integrated into the design process. Further, she talked about using a more lean and agile approach to produce better products and deliver them faster, while allowing the product to be out there. There should also be ongoing improvements to keep up with competition by simply reiterating through the activities and building on your initial findings. 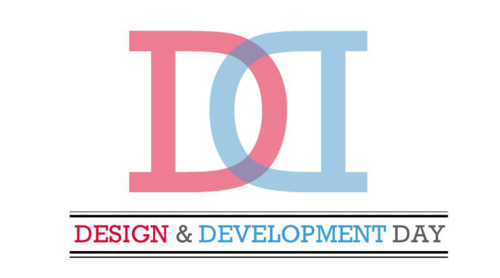 All in all, this shift towards a more collaborative approach to the design process further shows the increasing importance of the democratizing of design. GAE is Google’s main cloud computing platform, and it lets you run your own web applications on Google’s extensive network of servers, making it easier to scale your application as traffic demands. Android is gaining momentum in Southeast Asia with 300+ million activations, 850K+ new activations per day, and 15+ billion app installs. We had our last speaker Andy Marks, Technical Principal at ThoughtWorks, speaking to us about different types of developers, and although it can be applied to other areas of work as well, he gave tips to those who are considering software development as a career. He shared with us why “it is important to learn to fight, so you don’t have to fight”. Learn as much as you can about your discipline and start practising. Also, a combined approach of knowledge and action is the best way to toughen up and become better prepared for the challenges ahead. Furthermore, it will be important to get a mentor, who can impart constructive and insightful knowledge and advice relevant to your industry and/or field of expertise. Post the speakers, all the participants continued the day with the “Exercise Your Mind” workshop, where each one of us followed the movements of the tai chi “shifu”, and experimented with various interesting moves. It was a great way to stretch and expand your mind as well! 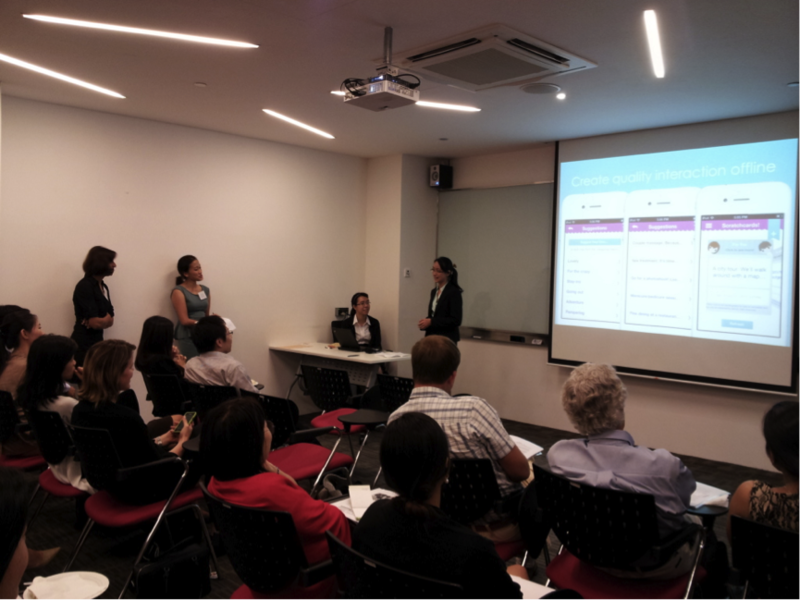 The event highlights also included the four workshops, where participants got a hands-on experience learning design or development in a more intimate and hands-on setting. Ideate. Build. Test. Measure. Repeat the cycle. Learn how to draw. It makes sense to be able to express visually using colours! Keep iterating. Conduct user studies and testing. 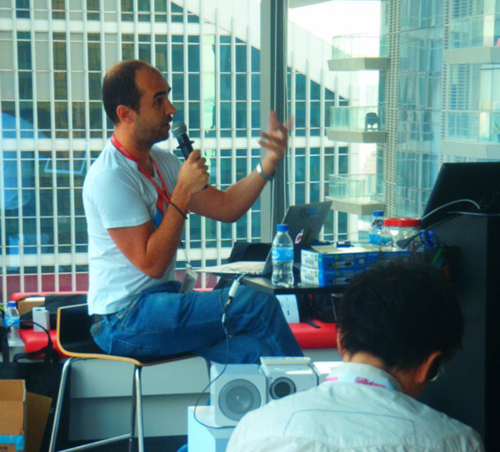 The other two workshops were led by Google’s developer relations gurus who took the participants in depth into the development and evolution of their platforms, including GAE and Google Android. It was a valuable and practical hands-on introduction to learn how to build a simple web application using GAE, as well as developing applications for Android. At the end of the day, the participants left feeling inspired with the learnings, and meeting the wonderful like-minded people of the local community. 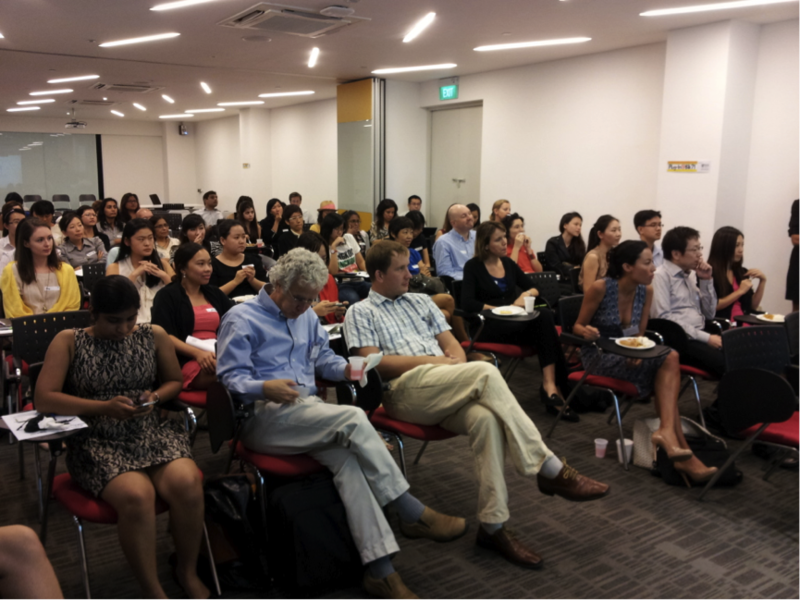 The event, based on the feedback from the participants, was overwhelmingly successful! 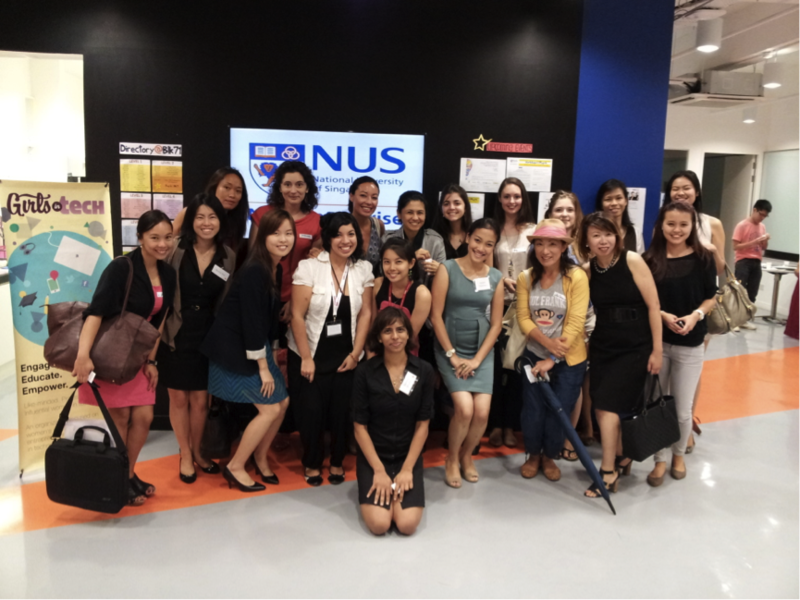 With the organization of a very successful event, Girls in Tech Singapore is now looking forward to providing more opportunities for attendees to connecting with the local tech community. 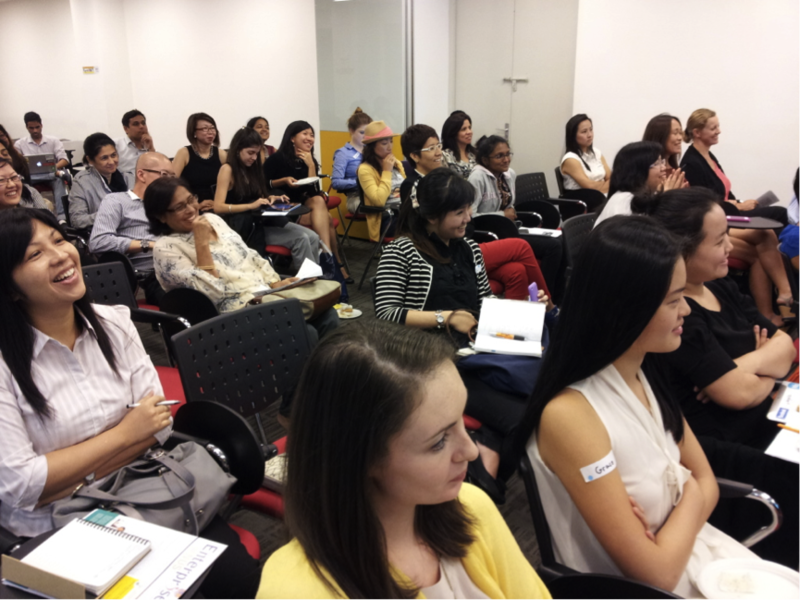 Finally, we would like to thank all the Girls in Tech volunteers who helped to make this event a grand success!